Black Ops DS Studio "Down But Definitely Not Out"
n-Space, the studio behind upcoming Nintendo DS games GoldenEye 007 and Call of Duty: Black Ops, is "down but definitely not out" after being hit with layoffs. You might think that being responsible for creating the DS versions of high-profile games like Call of Duty 4: Modern Warfare, Modern Warfare: Mobilized and Marvel Ultimate Alliance 2, not to mention in-production projects GoldenEye 007 and Call of Duty: Black Ops, would put a studio on fairly stable footing. But in spite of its impressive track record, n-Space boss Dan O'Leary revealed that the company was forced to make cuts on Friday. "After supporting 70-90 employees for several months without funding, Friday's layoffs were unavoidable," he revealed on the n-Space blog. He said he and a core team would continue to "firm up" some new deals this week and expressed hope that "If all goes as planned we'll be calling people back before the end of the week." "The games industry is, frankly, a mess," O'Leary wrote, explaining why the layoffs ultimately became necessary. "The economy has robbed customers of disposable income, reducing the number of titles that are purchased per year. Huge budget titles have to sell massive numbers to return a profit and the App Store has disrupted our industry in the same way iTunes changed consumer expectations for music. People that used to buy many games every year now buy a few AAA titles, supplementing their need with games that are free or cost less than a pack of gum. Anything in the 'middle' is struggling." "The Wii and DS markets have nearly collapsed and 3DS is a brave new world the publishers are excited about but also very cautious to enter," he continued. "Even for an extremely successful Wii/DS developer like n-Space, with a long history of delivering quality titles on time and on budget, this creates a very challenging business environment." 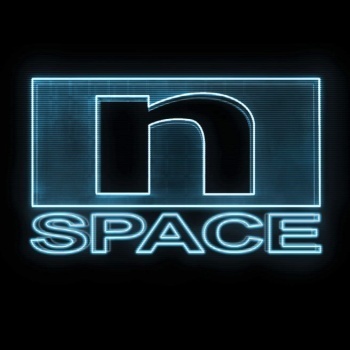 n-Space will ship seven titles this year and will announce a new iOS game next week, and O'Leary clarified that the studio is "down, but definitely not out." "The entire n-Space crew has demonstrated a level of professionalism and support that is beyond compare," he wrote. "I am truly blessed to have assembled such a talented, hard working, and resilient creative team and I look forward to sharing their future accomplishments with you." GoldenEye 007 for the Nintendo DS launches on November 2 and Call of Duty: Black Ops follows on November 9.